This ranch could run 500 mother cows with their calves year around outside. It is a horseback outfit and is very isolated with few neighbors. They could turn the hay ground into permanent pasture, so they did not need expensive hay equipment. Hay can be bought as needed for saddle horses, bulls, weaned calves and corralled culled cows. The ranch is 42 miles long from north to south covering 380,000 acres. It is primarily Bureau of Land Management (BLM) managed ground that is in an allotment management program with 4 pasture rotations and 1,500 acres of private deeded land. It takes a special kind of people to make a profitable endeavor out of a place no one wanted. The Stremlers dug in and began to put their ranch into working shape. Mike recalled, “When we bought this ranch everything was falling down. In the house you could see the sky through the roof and dirt through the floor. There was a yard full of old cars that we had to drag off. The corrals and fences needed repairs. It took about a year before we were here full time. I would go back to Washington and trim dairy cattle’s feet for a couple of weeks then come back and work on the ranch. 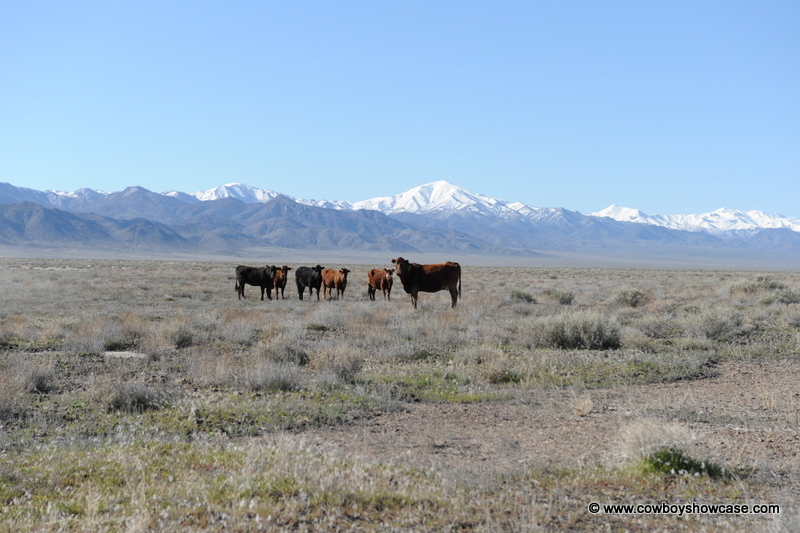 The first couple of years were tough but the drought broke in Nevada and the cattle did well on the outside feed. Stremler ran cows for his neighbor then ended up buying the neighbor’s native cattle. They improved the irrigation system and the corral system for weaning on their meadows. He moved a big metal shop from Washington and reassembled it on the ranch. We worked on patching up the house. They put solar-powered pumps on their livestock-water wells. Stremler says, “We practice a ‘golden rule’ I learned in a Ranching for Profit seminar, ‘Don’t buy anything you can’t pay for in one year.’” Slowly the ranch began to take shape. The cash flow from the sale of calves began to look better. One of the big problems in the past on this ranch was the wild horse issue. Stremler began to fence off the private land and water out in the white sage flats where the wild horses had been concentrated. This fencing plus the horse gathers that the BLM did using helicopters established a better distribution and ratio of wild horses to cows. The land and feed conditions for both wild horses and cattle improved measurably. The main source of income on the Stremler ranch is cattle. How they handle and market these cattle is the key to their success. 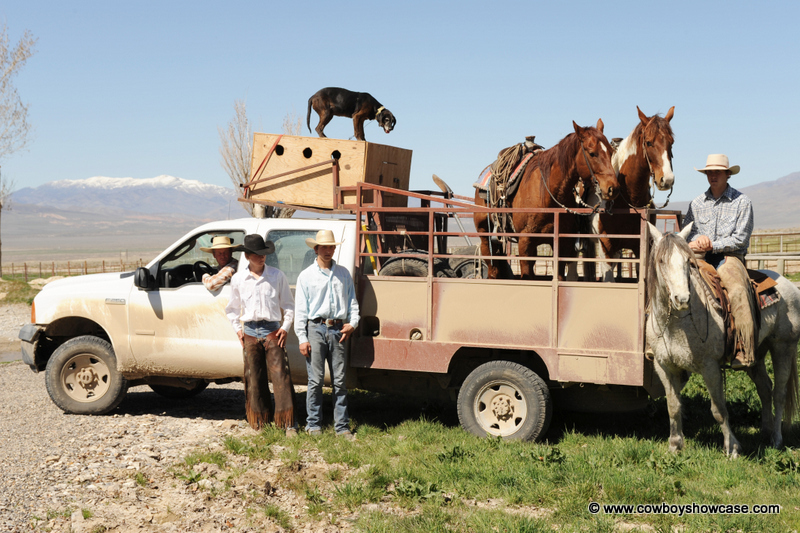 Stremler said, “We run cattle outside year-around primarily on BLM. We save our private land meadows for our saddle horses, heifers, bulls, and weaning our calves. I have tried to learn and ask advice from everybody I could on every aspect of ranching. For instance, we use a management tool for the breeding program on our first-calf heifers called a 48-hour calf removal or 48-hour weaning, the Wiltbank Method. We do this when their calves are all over six weeks old. This temporary, 48-hour removal of calves from cows prior to breeding has been shown to cause the cow to cycle and they will breed back much better and the calves will be born closer together. We keep the calves in a weaning lot with an electric fence next to the cows where they can see each other, but they can’t get together. Then they mother-up just fine after the 48 hours. This program gives us a 96-98% rebreed on our first-calf heifers. “We found that weaning first-calf heifers’ calves in August works for us. The reason for early weaning is these young cows go into the winter months in much better shape than if you had a big calf sucking the cow in fall. We wean calves on the older cows in September/October. “Our heifer calves weigh around 400 pounds at weaning. The steer calves weigh around 450. We sell on the Superior video auction in July, so I lock in a price in July on my calves with the delivery date in November. We sell the rest of our calves that we can’t class up for a video load through the Nevada Livestock Auction Barn in Fallon. “We separate the cows with heifer calves from those with steer calves. I want the heifer calves to travel with their mother in the roughest part of the ranch in the Stillwater Mountains on the west side. By doing that, when I select my replacement heifers in the spring, they will know the country and how to travel to feed and water. We usually keep the heifer calves with their mothers over winter and then market the heifer calves we don’t want to keep in the spring. Stremler told another aspect of the ranch, “We got the ranch and cows in fairly good shape after a few years and I don’t need to feed cows in the winter months so I have time to pursue mountain lions with my dogs. I had done a fair amount of bear hunting in Washington and some lion hunting. This country is surrounded by good mountain lion habitat and some years the lions are a problem, killing calves for our neighbors and us. “One day we were hunting lions in the Stillwater Mountains and had just treed a lion that had been killing our calves. A couple of fellows who owned Nevada High Ridge Outfitters were hunting in the same area. We struck up a conversation and they later asked me if I would like to be a sub-guide for their outfitting business. They would arrange and book the clients. So I got a sub-guide license and take their hunters mountain lion hunting. This arrangement has been a good supplement to the income for our ranch. 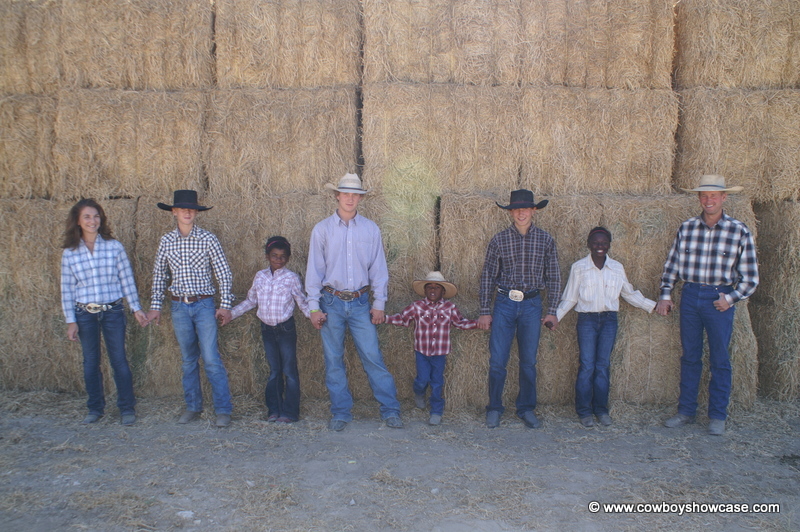 Stremler says, “One of the big reasons that this ranch runs as well as it does is my family. Barb helps with the ranch work, but a big part of her time is spent taking care of our six children. 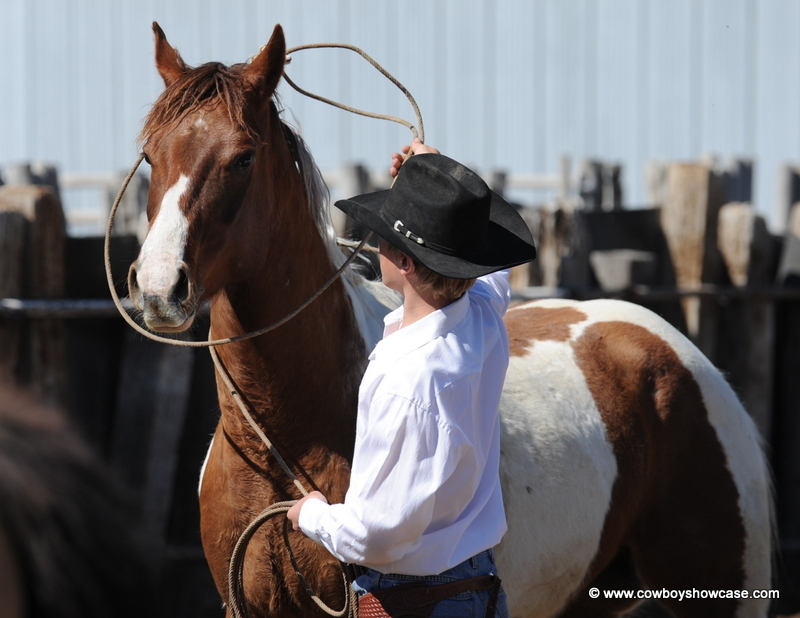 “Our three older boys, Christian 18, Cole 16, and Clay 14, can all ride, rope, work cows and hunt mountain lions. We home school our children, so in the morning the boys do their homework for the day, then our outside work starts around 1:00 pm and we work until it is dark. “For social activity, the two older boys are in High School rodeo and Clay will be next year. 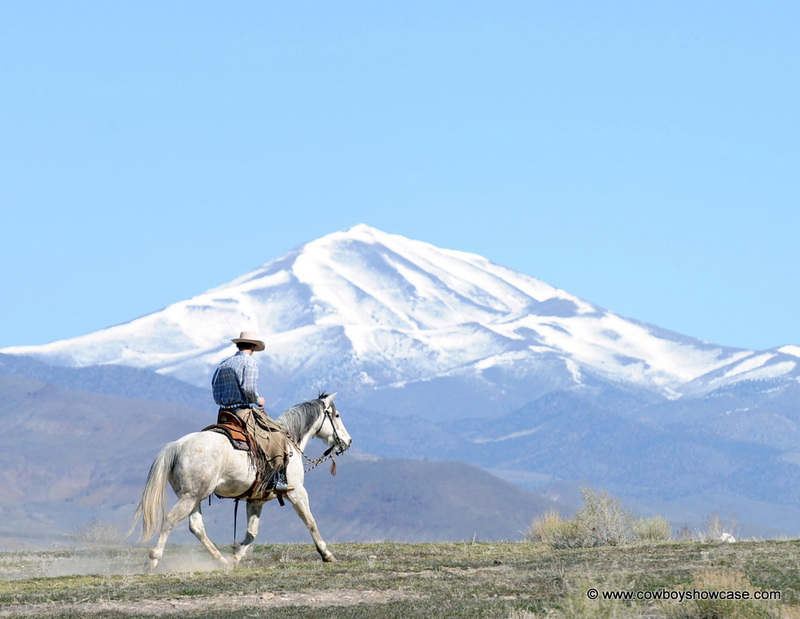 During the rodeo season we travel around the state of Nevada to a different rodeo each weekend. This is good for the boys and for my wife who gets to visit with rodeo kids’ parents each weekend. We have not encouraged my three boys to continue in the ranching business. I would like them to cast out in the real world for a while and find out what they want to do. Then if they decide that they want to ranch I am sure we can work out a deal. The down side of the Jersey Valley Ranch location is an hour-and-a-half drive on primitive roads to town or to medical service, no mail service, and no public school for the children. Blown pickup tires, gas, and diesel costs are big expenses. The ranch does have electric power and telephone lines that were brought in years ago by a previous owner. This allows the residents to have a telephone and computer. But the remoteness of the ranch is what keeps a lot of people out of this country and is what makes it affordable for people like the Stremlers to ranch. This remote country only appeals to a certain kind of people. 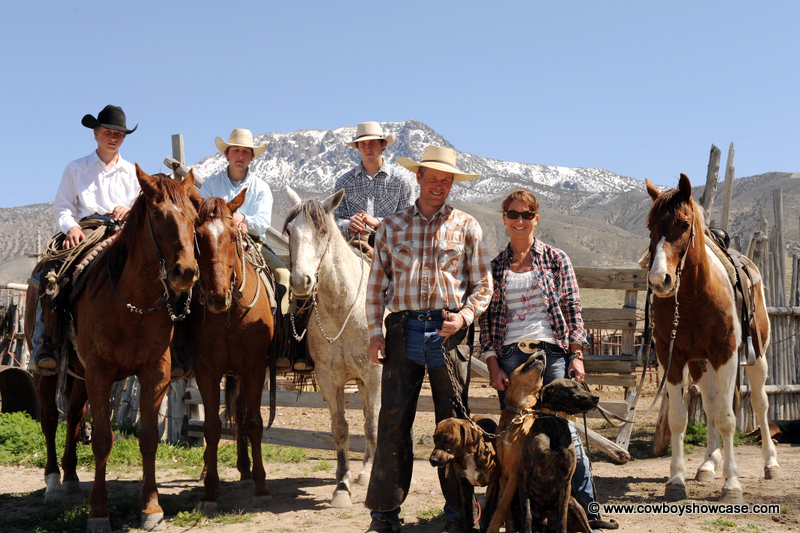 Mike Stremler and his family have the ambition and pioneering spirit to make a successful ranching business for themselves using their minds, hard work, and their faith.